This species is accepted, and is native to Europe, Africa and Sinai..
Cuba, Dominican Republic, Haiti, Leeward Is. Chenopodina vera (Forssk. ex J.F.Gmel.) Moq. 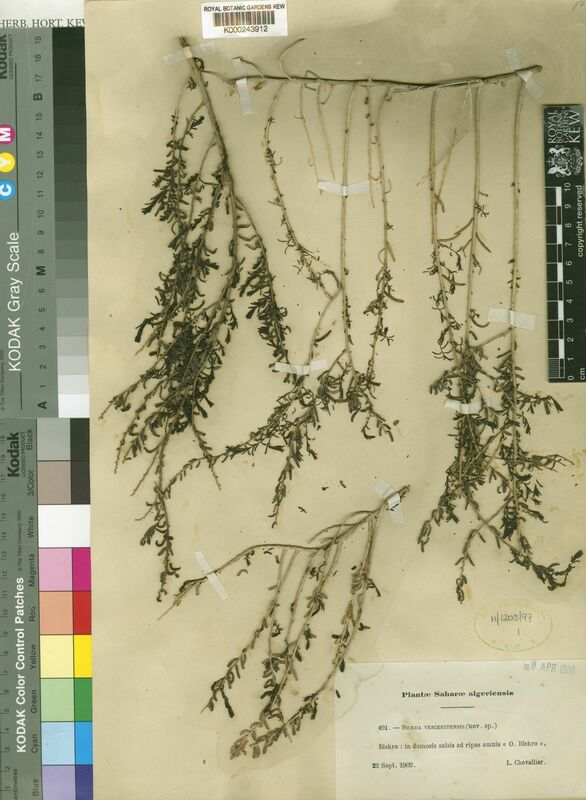 Salsola anonyma (J.F.Gmel.) Forsyth f.
Salsola vera (Forssk. ex J.F.Gmel.) Forsyth f.